Oni's Reading Rainbow, a roaming Bookstore based in Fayetteville, have been selling African American Children Books, Puzzles, and Games since 1999. Our collection of rare books are suitable for everyone from Preschoolers to Adults. We are one of the few Mobile Bookstores to carry African American Children Books in Fayetteville, NC, specifically for children of color. You can find us at kid-friendly events around the Fayetteville area and be sure to let us know if you would like us to be at yours. We have a wonderful selection of African American history and other materials for sale and will travel around the region to sell and share them. Our Books are sometimes new, unread copies that the Publisher sells in bulk to reduce excess inventory. In most cases, the Publisher prints too many copies or Bookstores buy too many. The Books, therefore, have been handled a few times but are still in excellent condition. The Publisher may place a mark on the edge of an item to identify it as a Bargain Book. Since each one is marked by hand and often not in the same location, we can sell them for a lower price. 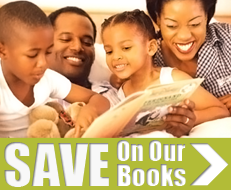 From African American Folktales to Fiction and Non-Fiction, our Books are a treasure chest of timeless characters. They include John Henry and his railroad building as well as famous African American Children’s Authors like Eloise Greenfield. Shop our store to add to your collection or share with others. Our Non-fiction stock makes learning easy and enjoyable. We have a selection of Books about the Civil War, Slavery, and Current Events, including Books about Barack and Michelle Obama. Our collection of reading material spans other subjects too. We have Math, Science, and Reference Books, as well as books on celebrities like Michael Jordan and his life story. Contact our mobile bookstore based in Fayetteville, North Carolina, for more about our African American children's books.